If you've been a follower for a while, you must know that I love insects. 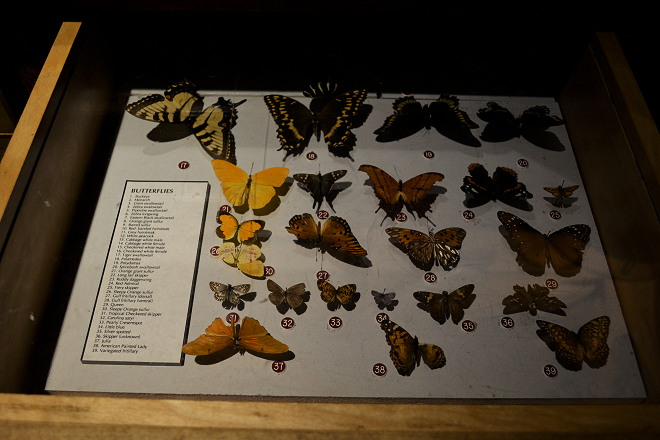 Our home is decorated with over 40 insects including butterflies and beetles. Beetles are my all-time favorite specimen, followed by moths, butterflies, and other tree-dwellers like praying mantids and walking sticks. 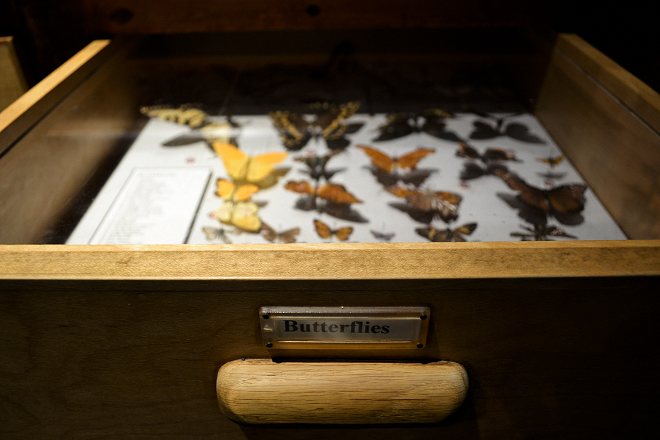 I took these photos at my museum in our nature section where we have drawers full of butterflies, beetles, and moths! It's a little corner of the museum that goes unnoticed and always reminds me of my favorite taxidermy shop, Deyrolle. We once bought a milk weed plant for our balcony to attract butterflies in the area so that we could admire them. Our milk weed started to die from the aphids that started living on it. 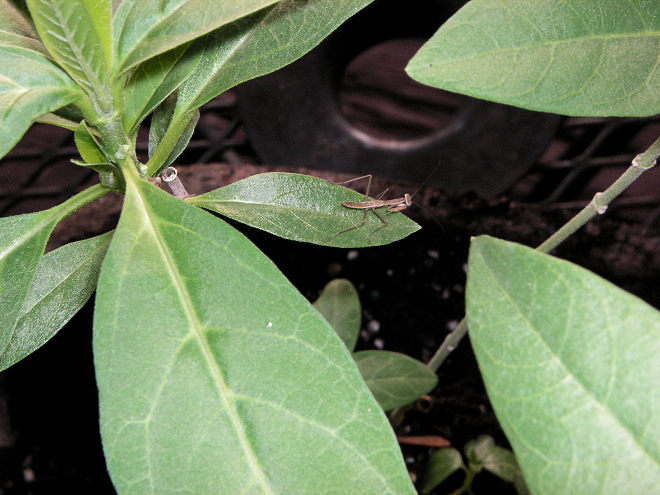 To combat the aphids, the local plant nursery sells praying mantis eggs! One egg can hatch up to 300 praying mantids. Naturally, we adopted one (or 300). After about two weeks of keeping the egg in a mesh cage, it hatched! I became a praying mantis mom to about 100 little guys and I let most of them go on our balcony. We kept one in the cage as a pet, and named him after the Buddhist monk Thich Quang Duc (Duc for short) get it? Buddhist monk because they're always praying? We kept him for as long as we could, feeding him our endless supply of aphids from the milk weed plant. He'd shed his exoskeleton and grower bigger and bigger, eating more and more. He'd do adorable things like sway when I would get close. At first, I thought he was just dancing, but after some research I found that it's a defense mechanism, they sway to look like a twig in the wind! I swoon. We didn't really know if he was a girl or a boy because you don't find out until they do their last shedding and you measure the size of their wings. He ended up dying before his final shedding and I think it's because I'm not a pro and I just didn't know how to properly take care of him. So for a while we just assumed he was a boy, and he was the cutest little insect pet a girl could ask for. Awww, this was so cute. I'm intrigued by the whole specimen-behind-glass trend, and I think it makes a house look so... academic. Sorry to hear about your pet. oh wow! That's an amazing collection! you're so weird :) i say that as the highest of compliments you know. i love that you love bugs. i get it. there's some weird things that i love, so i totally understand the fascination with something, well, fascinating. and i think i could like bugs too but unfortunately my reaction to bugs is insanity. bees/ants i am good with everything else makes me feel like i am going deaf and blind and i am going to die. i once had an african hissing cockroach on my window screen (i think it escaped from the zoo or someones house). it hissed from it's mouth every time i looked at it. i hated that thing, it stayed there for days, but you would have loved it. and then the other day there was this flying giant, i don't know what kind of bug, but it was so scary it looked like it hat bat ears. do you know what that is? i have to admit though, your praying mantis does sound pretty darn cute. 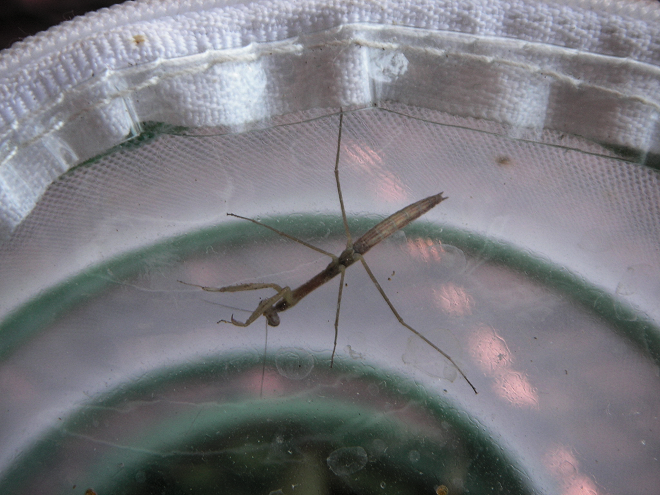 And that is so cute that you became a praying mantis mama. Insanely awesome. 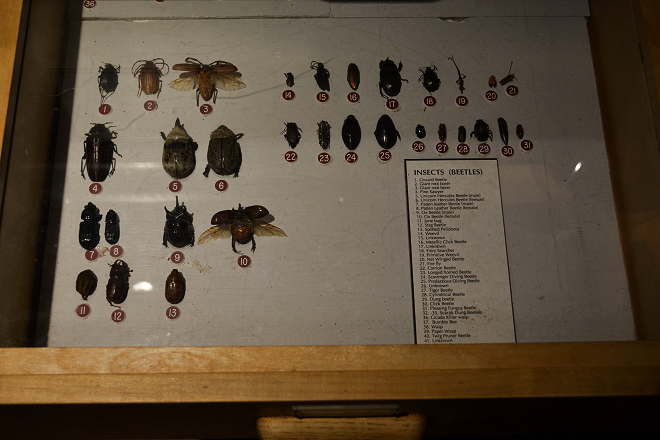 On our vacation Wade and I picked up so entomology pieces. I can't wait to share them on my blog. I loved learning this about you! I knew you liked taxidermied bugs but I loved hearing this backstory. And of your new pet! So sorry he died :( I love praying mantises. Mantises? They're so adorable. I had one very close encounter with a big one when I was a kid, and he did the swaying thing, too! I thought we were dancing, haha.